This Friday, May 11th is the opening for CRAYnial! It's a group show of over 30 artists, all customizing the same Boombot. What's a Boombot you ask? It's a little speaker that is in the shape of a skull. 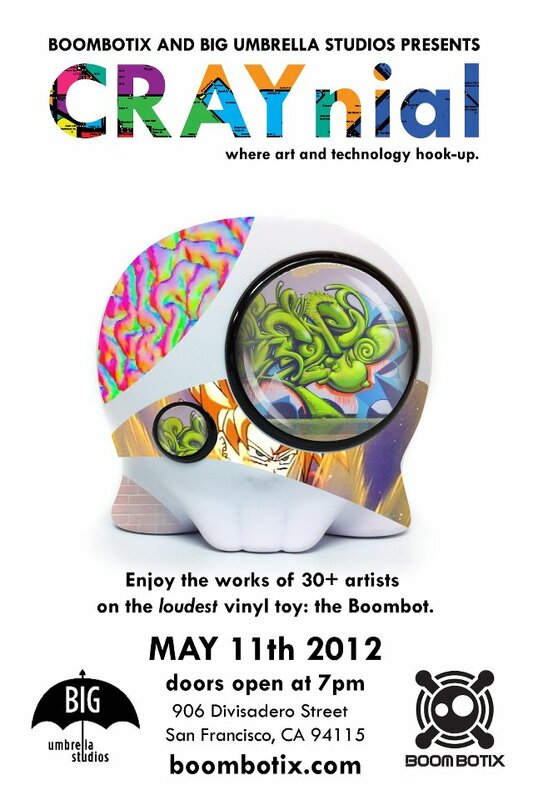 Think of a vinyl toy, but with a really loud speaker built in for your ipod. I'll be in the show! Craynial opens May 11, 2012, 7pm.